Oh baby, you’re the stim to my marines. The concussive shells to my proxy marauder opening. I love you more than watching nukes fall on 200/200 Zerg army. That’s right, love is in the air… Or maybe that’s just the smell of gun powder from a C-14 gauss rifle. 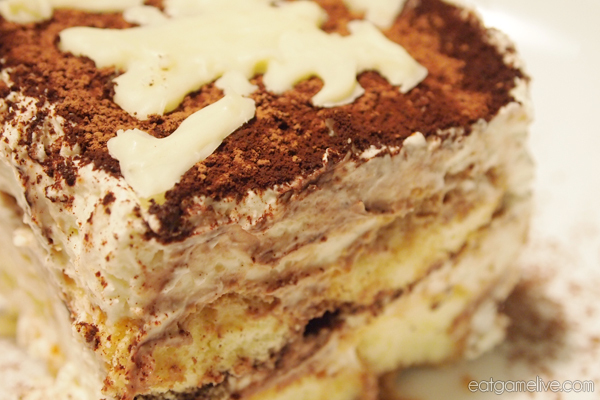 For this Valentine’s Day special, we’re tackling one of my favorite desserts: Tiramisu. But in this case, we’re making terranmisu. OH HO HO, PUNS! Prep for this dish will take about 30 minutes. Cook time (or idle time in this case) will be about 2 hours. This will make 6 servings. Pour your whipping cream into a bowl. 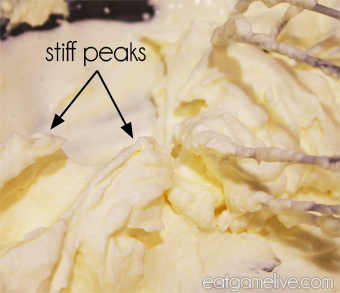 Using a balloon whisk, whisk the whip cream until it begins to form stiff peaks. (I suggest placing your bowl in the sink and then whisk side to side very quickly… Extreme APM is required for this step!). The cream will not thicken unless you whisk it very aggressively in a short amount of time. Ideally, this step should take you less than 5 minutes. Here’s a YouTube showing how to properly whip cream.Once done, set your whipped cream aside. Take your mascarpone cheese and combine it with the honey (or sugar). Gently fold the mascarpone cheese into your whipped cream. 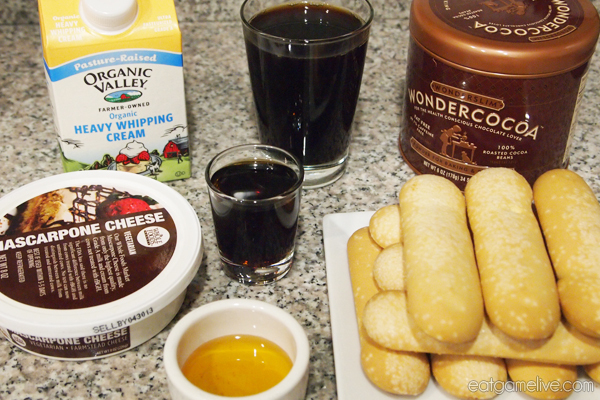 Pour your coffee liqueur into your whipped cream mixture and gently combine. Pour your espresso into a shallow dish. Dip your lady fingers into the espresso. Do not let them soak — the cookies should be moist, not soaking wet. Place half of your lady fingers in your dish. Spoon some espresso over your lady fingers. Cover the lady fingers with half of your whipped cream mixture. Sprinkle powdered chocolate over the whipped cream. 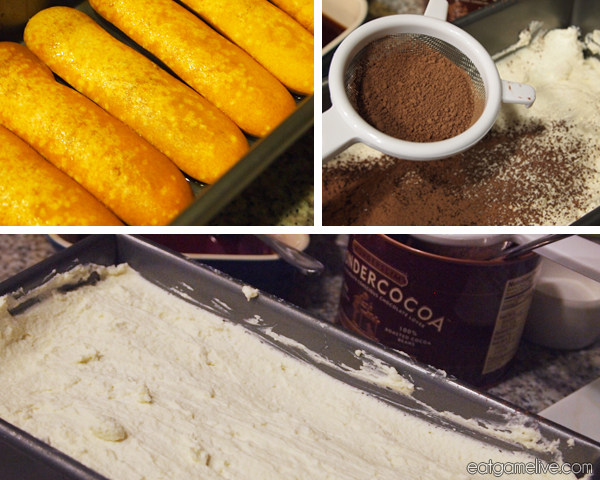 Place the rest of your lady fingers on top of the powdered chocolate. Repeat steps 2 and 3. Cover your dish with cellophane (cling wrap) and place in the fridge for at least two hours. I mentioned earlier that this would be terranmisu, so here’s how to give this dish an extra terran flair. Ok, so this was my first attempt at making these… These take a fair amount of time to create, so if you’re not patient, you may want to skip this entire process completely. It took me about 15 minutes to make 3 of these symbols (however, I have very little experience working with chocolate, so if you’ve done something like this before, you’ll probably be faster). You’ll also need to pop these chocolates into the fridge for about 20 minutes. Total time is about 45 minutes (including the time required to melt chocolate). I will also suggest that you take your design and flip it in photoshop or another photo editing program. This means that your design will print backwards and you’ll be creating the chocolate design backwards. Once the chocolate cools, flip the design over so that it will be facing the correct direction. This will make the design smoother and will have less mistakes. Unfortunately, I wasn’t smart enough to remember this step when creating the chocolate terrans, so they’re a little bit more bumpy than I would’ve liked. Oh well! Set a pot to boil water. Once the pot has boiled, remove it from the heat and place a glass cup full of broken white chocolate into the hot water. Allow the chocolate to melt and stir with a spoon. This process should take about 5 minutes. Let the chocolate cool down for about 5 minutes; occasionally stir the chocolate during this process. Select your design and reduce the size of your design to about a width of 4″. Try to fit at least 4 of your designs on a single piece of paper. Then, print out your design. Place your print out on a clean, flat surface. Place a piece of wax paper (large than the size of your paper) over the print out and tape it down. Dip a toothpick in your cup of white chocolate and begin to paint over the designs. If you happen to make a mistake, simply clean up excess white chocolate with a damp cotton swab. Once you’ve completed your designs, place them in the fridge to cool. 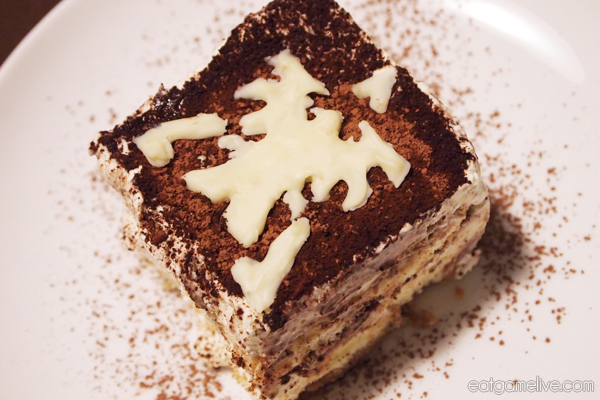 When you’re ready to serve the tiramisu, remove the symbols from the fridge. 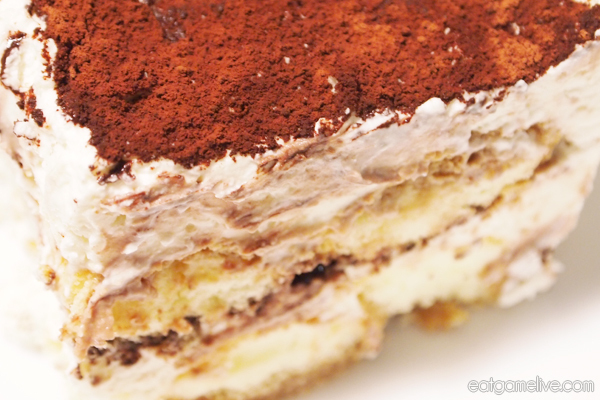 Carefully peel back the chocolate from the wax paper and place your design onto the tiramisu. And, ta-da! Now that’s a GG WP for terranmisu! Go get cozy in your kitchen and whip up this delicious treat for your sweetheart or just yourself! Om nom nom nom. I Will do this as soon as i get those ingredients!